A Simple Heart , also known as A Simple Soul is about Madame Aubain's servant, Felicite, a selfless girl who lives a simple, unexamined life. It was published in Flaubert's story collection, Three Tales in 1877, which also features his novella, The Legend of Saint Julian the Hospitaller. 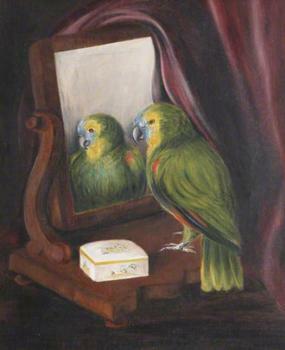 Painting by Rosalie Chichester, 'Polly' the Parrot, 1906.